One of the new young voices of the new generation of Dominican vocalists, Chantel Collado was born in Mississauga, Ontario, Canada. She began her musical career at the tender age of 9 when she performed in Latin Festival at Tony Reyes festival. In 2006 she placed 3rd place in Solo and Duet competition at National Vocal Competition in Los Angeles, California. Also in 2006 she performed at Mel Lastman Square and Downsview Park both dancing and singing. 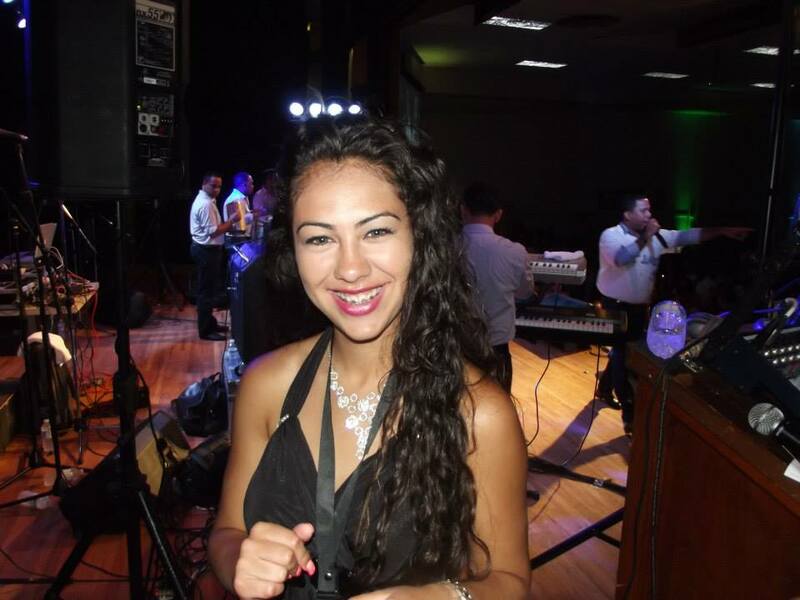 She had the opportunity to sing with the well known Bachata singer Alex Bello. Chantel joined John Robert Powers in 2006 where she learned technique and vocals. In 2005 she also attended Ontario Conservatory of Music to learn vocals. Now at the tender age of 15 she has recorded three original songs written by her brother Junior Collado and composed by her father Leo Collado. CD’s were recorded by Engel Torres, Rey Melodico in Dominican Republic Sounds Like “Three Words”, “Infiel”, “I Want To Tell You”, are three singles which is an independent production recorded in Dominican Republic, is Chantel’s latest career accomplishment. A world- class vehicle for her talents as a young vocalist. Chantel is joined by Engel Torres, Rey Melodico who directed the production. With a variety of genres from Dominican bachata and other contemporary latin styles, “Three Words” “Infiel” and “I Want To Tell You” are singles with high potential for international success A ‘singers singer’, with great range and dazzling improvisational skills – Chantel Collado matches her technique with an infectious personality and stage presence – making her the total package of entertainer, gifted artist.